Great news! We have been awarded £1,000 from Aviva Community Fund towards a TrenGuard Trendelenburg Restraint. A big thank you to everyone who voted for us. The Trendelenburg position is adopted during gynaecological surgery. In this position a patient lies face upwards on a tilted table with their pelvis higher than their head. There is a risk of the patient sliding in this position and traditional methods of restraining the patient do not totally prevent this sliding. 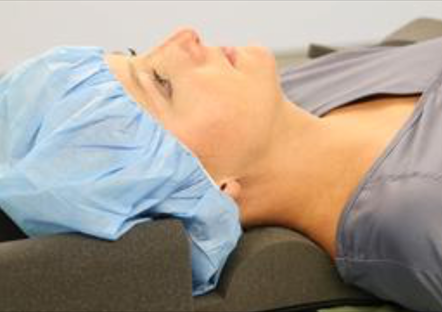 That’s why we’re excited to have received funding towards the purchase of a TrenGuard Trendelenburg Restraint, which keeps women comfortably and securely in a head down position while undergoing surgery. We have been awarded £1,000 towards the purchase of this device. GRACE will pay the remainder of the cost and donate the restraint to the Royal Surrey County Hospital.